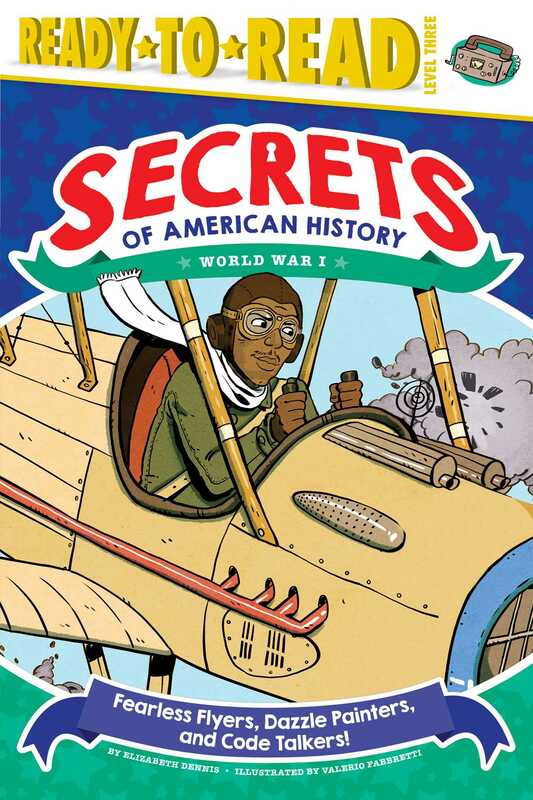 Do you know about the adventures of Eugene Bullard, the first African-American fighter pilot, who fought in World War I? Did you know that, in the same war, America used a kind of camouflage called Dazzle Painting that made ships look like Easter eggs? Or that Americans Indians sent secret messages as code talkers in the Choctaw Telephone Squad? Find out in this book of amazing true stories! Elizabeth Dennis grew up in Arizona, where she loved finding teeny, tiny, fairy-sized wildflowers in the desert and seeing double rainbows over the mountains. Nowadays, she lives in New York City and writes and edits books for children, and still loves flowers, nature, and double rainbows! Book Cover Image (jpg): Fearless Flyers, Dazzle Painters, and Code Talkers!